cordero lechal, sucking lamb. Among Christians in Iberia during the Middle Ages lamb was a luxury and consumption was restricted in Christian communities due to the vicissitudes of famine, plague and climatic conditions. Consumption was frowned upon until the animal had supplied wool for which it was raised and to reproduced. They were not slaughtered for consumption until they were at least four years old. Primarily Christians consumed pork. 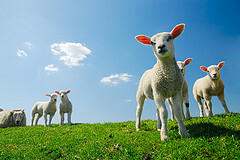 Lamb represented less than ⅓ of meat eaten. In the 1154 it was noted as a rich pilgrim’s food when Louis VII, of France, came on a pilgrimage and to check out the Constance of Castile’s lineage, who was his second wife and daughter of Alfonso VII of Castile and León. 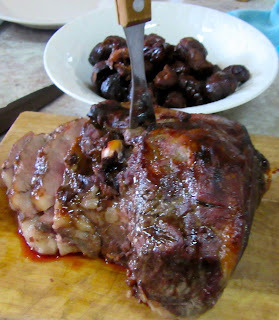 For Hispano Arabs and Jews lamb had a great religious significance and represented what the pig did for Christians. As the Greek physicians, Hispano-Arabs thought sheep were the most balanced with human nature for they are warm and humid. Lambs are very humid. 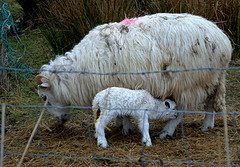 The male lamb was thought better than the female. Normally, the sucking lamb is slaughtered when it weighs 10 kilos and has had no food except milk from the mother. After cleaning, it was marinated in a vinegar solution. In the summer, Christians roasted it with aromatic herbs and spices like parsley, ginger, a toast, garlic. In the winter less vinegar was used but more spices and garlic were added with, hedge mustard and a good quantity of wine. Sent Soví Chapter 41 provides a recipe for a vinegar pickle sauce with rocket or a marinade of vinegar and pepper with chopped onion. Christians, Jews and Muslims rubbed the lamb with fat prior to roasting. While the others used lamb fat, Christians used lard. They roasted it whole on a spit but thought it was better boiled and then browned in the oven. Arabs cut their animals into pieces before roasting. All three groups roasted it in a wood oven or fireplace. As the English, in Spain no other fuel is permitted. Cut tough lamb into small chunks. Put it in a pot with an equal amount of chestnuts with syrup. Add salt and roast until done. Carve the meat and put it on a platter. 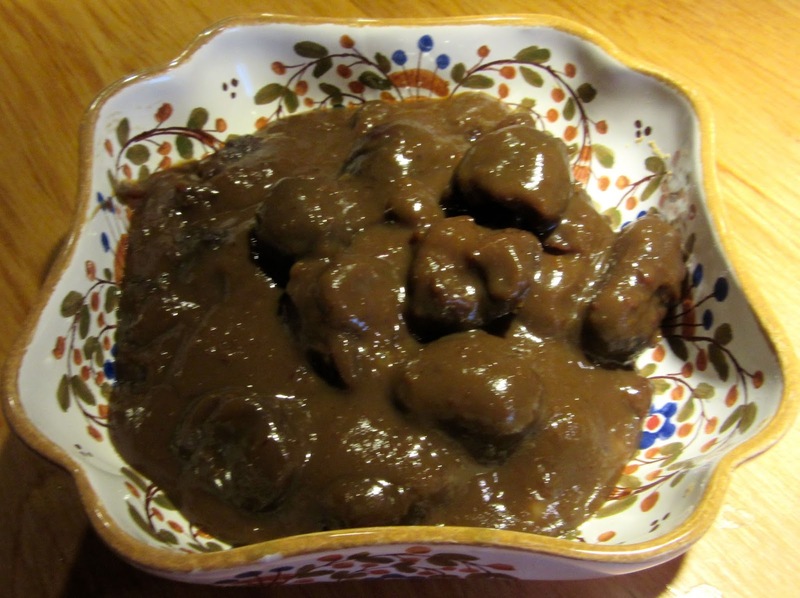 A sauce was made with the chestnuts, the syrup from them and the pan drippings combined with 1 tbsp flour. As a sucking lamb was used, the leg was left whole and carved when cooked.